2016 Yamaha SRViper R-TX SE, CALL FOR BEST DEAL!!!! 2016 Yamaha SRViper R-TX SE No holds barred trail performance. Features may include: NEW Tuner 3 Skis Our advanced twin-keel Tuner ski is improved again, with a new lighter design, a replaceable ski-hoop allowing for custom color matching and the same great easy steering, reduced darting and tuning capabilities of previous Tuner Ski designs. Tuner 2 Skis Our Deep Keel Tuner 2 Skis are engineered specifically for the SRV Chassis and the unique characteristics of the Viper. They deliver reduced ski-pressure and near effortless steering; and the dual keel design delivers an assured bite in the corners with reduced darting. 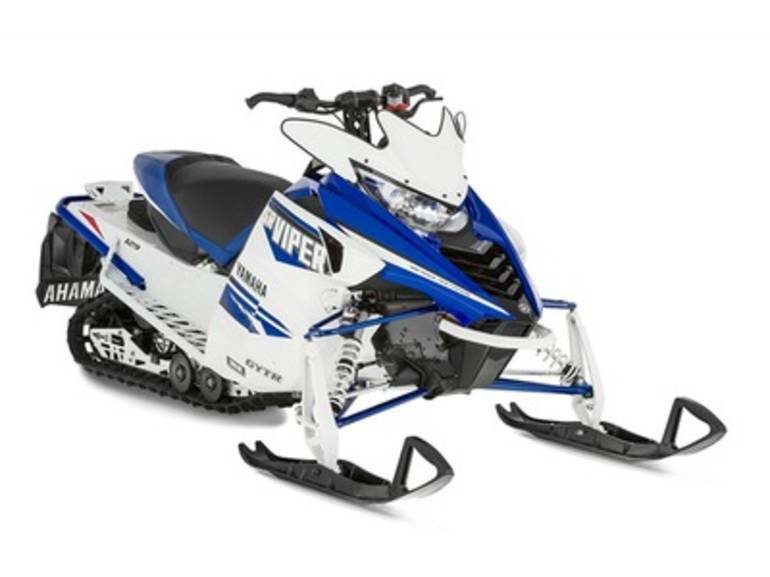 The design also allows you to customize the handling and feel of your sled with easy to change carbide runners in a variety of insert lengths for the inner and outer keel. NEW FOX Piggy Back Front Suspension Shocks All-new performance tuned FOX coil-over shocks combine high pressure gas aluminum body, rebuildable performance with a piggyback chamber for added oil volume, reduced fade in harsh conditions, and the ability to easily adjust compression damping with a simple three position knob with perfectly calibrated settings for a wide-variety of trail conditions and riding styles. NEW FOX Piggy Back Rear Suspension Shocks A new FOX high-pressure gas shock features a piggyback chamber to deliver reduced fading, exceptional control, and three easy to adjust compression damping performance settings so you can quickly and easily adjust the ride to conditions and riding preference. YVXC Clutching Featuring Yamaha drive and driven clutching, the YVXC system delivers smooth engagement, instant acceleration, fast reacting backshift, and cool operating temperatures for a long belt life. The YVXC clutch system delivers Yamaha s hallmark smooth power delivery, responsive engine feel and unmatched quality. Dual Shock SR 129 Rear Suspension The drop-link style Dual Shock SR 129 rear suspension is the cumulative result of years of punishment and development in snocross and cross-country competition. The incredibly stout, yet lightweight design allows riders to drive hard into the most demanding and unsuspecting terrain while retaining the utmost level of control. All Yamaha pictures are kind of Yamaha HD motorcycles picture was taken, including motor fuel gauge, engine, engine mounts, tires, fuel tank, the car handles, lights and so on, 2016 Yamaha SRViper R-TX SE full-screen viewing,2016 Yamaha Motorcycles today Price: $13,199 .